Anyone who knows me or follows me on social media knows that I am an avid reader. 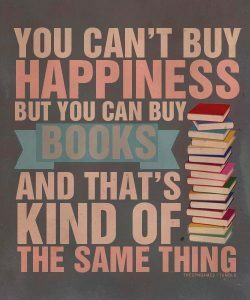 I loved reading when I was younger but throughout my twenties I lost the passion for it. It was about a year and a half ago when I really got into it again. I have a feeling it has something to do with me getting my first public library card as an adult, the library is a magical place. Last year I signed up for the Goodreads Reading Challenge and set the number of books to read at 40. 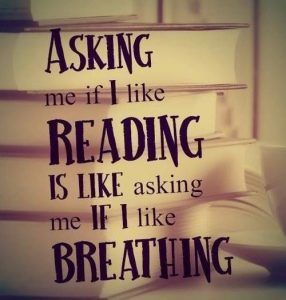 I surpassed that by 14, reading 54 books in 2016. This year my goal is 60 so fingers crossed I can hit it. I am on book #4 for 2017 so I think I just may do it. Last week a friend of mine from high school sent me a message telling me about a reading challenge she saw online. 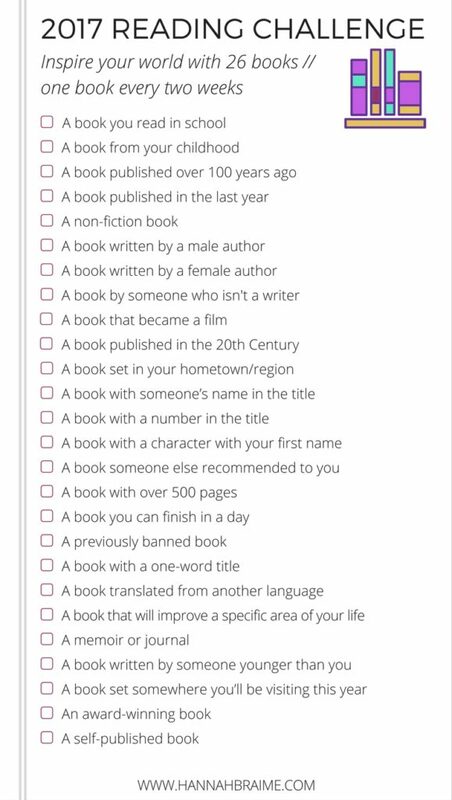 I had attempted one in 2015 but since I didn’t start reading until half way through that year I wasn’t able to finish it. I figured why not try again this year. 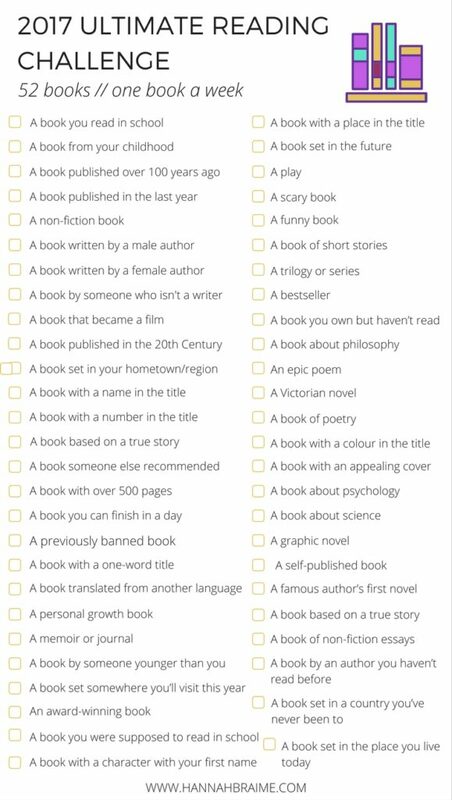 It is a 52 book challenge that gives you categories of books to read. There is also a 26 book one in case you want to start out slowly. I modified the list up just a little bit, changing 3 of the categories. There is one that is on the list twice, two that are very similar to each other, and one that doesn’t pertain to me this year. The thing I love about this challenge is it forces you to read outside your comfort zone and discover genres you wouldn’t normally read. So, who wants to challenge themselves with me? 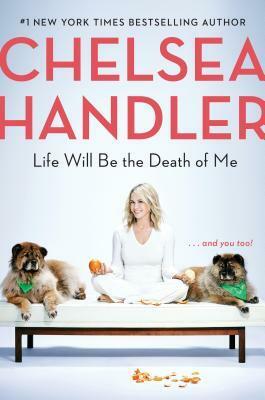 A book set in the place you live today is the same as a book set in your hometown or region for me since Florida is my hometown AND the place I live today. I changed that to a young adult book. A book set somewhere you’ll visit this year I changed to a thriller/mystery book since I have yet to make any travel plans this year.